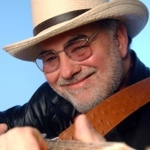 The Blues Music Awards (formerly W.C.Handy Awards) have named Duke Robillard "Best Blues Guitarist" four years out of five (2000, 2001, 2003, 2004) making him the second most honored guitarist for that award! He was also nominated in that category in 2005, 2007 and again in 2008. Duke has two Grammy nominations for Guitar Groove-A-Rama (2007) and Stomp the Blues Tonight! (2010). In 2007, Corey was awarded a $500,000 MacArthur Fellowship, commonly referred to as the "Genius Award." and served as Centrum's Artistic Director for Blues. Jerry spent six critically acclaimed years as the harp player for the fabled Muddy Waters Blues Band (2 Grammy's), another six as leader of the Legendary Blues Band and another four as a featured member of the Eric Clapton Band (Grammy). 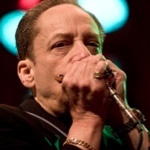 As a teacher, Jerry has lectured at the Berklee School of Music and his Blues Harmonica Masterclass has been the definitely guide to learning blues harmonica for the past 20 years. Bruno Bornsztein is a maker. He makes Web applications, music, stories, art, and even furniture. 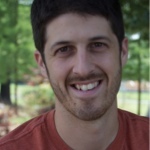 He founded the leading DIY home improvement community, Curbly.com, and grew it to 1 million unique visitors per month. Bruno developed the open-source Ruby on Rails social Web application platform: Community Engine. He holds a BA in journalism from the University of Minnesota. 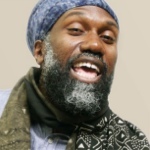 Mike founded Sonic Junction with the belief that music is fundamentally social and to deliver on one objective: Connect People Musically. Mike has an SB from MIT, MS from Stanford. He has been awarded 27 US Patents ranging from DNA array synthesis to guitar effect controllers. 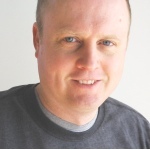 Previous to Sonic Junction, Mike managed the development of a Consumer Cloud Service at HP.